Instagram is a brilliant tool for taking, editing and sharing photos on a smartphone. It’s also a great tool for marketing a brand on social media. However, very often, especially if you use it for marketing, you’ll have a photo on your Mac that you want to share – and transferring it your iPhone is an extra step that can be inconvenient at best. 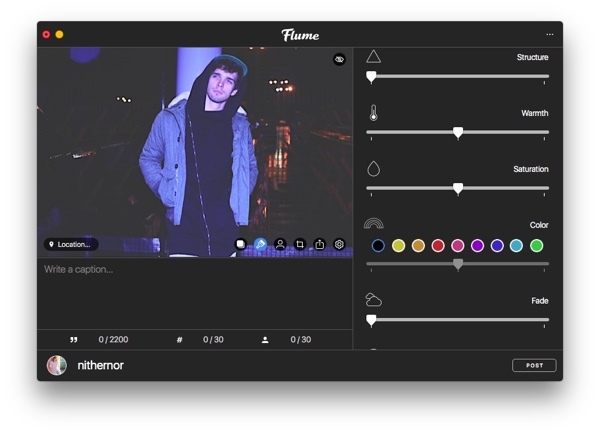 To upload a photo from your desktop you'll need an app like Flume. 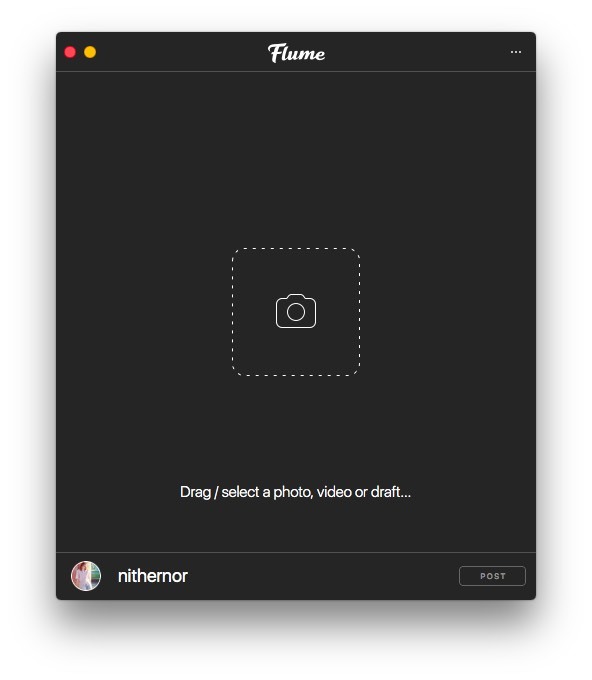 Flume allows you to post photos directly to Instagram from your Mac. And, if you use Setapp apps like Polarr to edit your photos and Sip to choose the perfect colours for it, you have the perfect Instagram marketing platform right on your Mac. Even if you only use Instagram for fun or socialising, being able to post directly from your Mac is very handy. Flume also allows you to see your Instagram feed right on your Mac’s desktop, so you can keep up to date with it while you’re working. And you can comment on and like posts on your Mac too. Here’s how to use it to post photos. Good news is, you don’t need a special uploader for Instagram on Mac. It’s all done easily through Flume. You get a simple Instagram uploader, newsfeed viewer, commenting, and direct messaging. Simply open Setapp, find Flume, install the app and run it. Then you only need to log into your Instagram account and when you see your feed in Flume’s window, you’re ready to post. At the bottom of the Flume’s window you can see relevant icons with your feed, direct messages, etc. Bottom left corner has a camera icon, that’s what you’re looking for. You can then click the camera icon and either take a photo or video using your Mac's camera right there, or upload one from your computer. From then on, it’s pretty basic: drag the image you want to post (or press Command-0) and post. Click on the brush tool to edit if you feel like adding a filter or color corrections. To move along the row, either swipe left across your trackpad or click the forward arrow. Use the sliders in the Adjustments menu to straighten or sharpen your image, adjust the color, brightness or saturation, or even add a tilt shift effect. Experiment until you’re happy with the way your image looks. In the text box below your photo, write a caption that will be posted with it. Remember to include hashtags. To to tag other Instagram users, click the head and shoulders icon at the bottom of your photo, click on the photo where you want add the tag, and start to type the username of the first person you want to tag into the box. When Flume finds the user you’re looking for, click on their name. Instagram is extremely limited in terms of image editing, so you might want to refer to better software. Well-edited images are the deal breakers on IG after all. Since you already have Setapp, you have two options depending on your proficiency and love for detail. If you’re an amateur-to-professional photographer, try CameraBag Pro. It’s an app that combines both ready filters and ultra-detailed editing, including nuanced skin tone correction and eye-sparking tools. If you just need quick and smart results, go for Photolemur. It’s an app that uses built-in AI to analyze what’s in the picture and how it should be edited. It’s a one-click editor that basically does magic but on the downside: you have limited influence on that magic, apart from the intensity of it. Nothing of major difference from uploading pictures. You grab a video and drag it all the way into the window that opens when you click the camera icon in Flume. Mac Instagram users are going to enjoy not having to move their videos to their iPhones to upload on IG. Large videos will take longer to upload (duh), give Flume some time to process them. Instagram only allows videos that are up to 1 minute, so if your video is longer, cut it before uploading or it will get cut automatically. 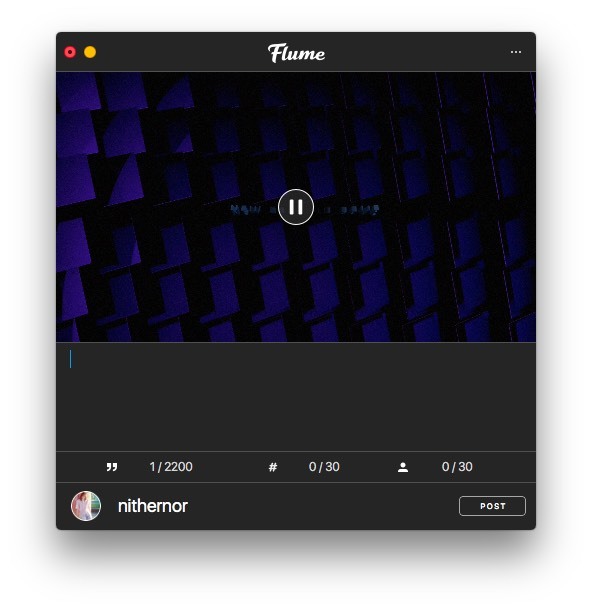 Flume allows you to post on different Instagram accounts – though you can only post on one at a time. To add another account, click the Account menu and then click ‘Add an account’. In the window that opens, click the ‘+’ and log into to the account you want to add. Click the circle opposite the name of the account you want to post the current photo on. Although Flume is designed to allow you to share photos and video on Instagram, but you can share them on Facebook and Twitter too. Click the Share button at the bottom of your photo and select the networks you want to share it on. That’s about it. Using Instagram for Mac on desktop is nothing new. We’re still surprised that with such a huge audience and business behind it, Instagram still hasn’t introduced a decent desktop client of its own. Luckily for you, there are apps that cover the problem with ease. We hope this guide has been of help and now you know how to bypass the tricky Mac-iPhone file shifting. It’s a pain to be forced to move every image to your phone when it’s ready for posting, so Flume to the rescue. Have a great day, post a lot, cheers!